Leading console accessories manufacturer Nyko today announced on twitter the release of the Data Bank for Xbox One, a sleek, streamlined hard drive enclosure that affixes to the top of the console and expands data storage with any 3.5” hard drive. Current enclosures on the market are less visually appealing and are detached from the console, leaving a cable trail and taking up unnecessary space. 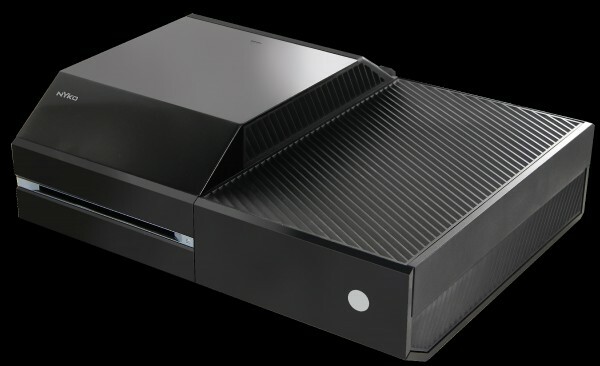 The Data Bank for Xbox One solves this problem with an enclosure that matches the materials and angles of the console, and simply attaches to the top. You can now purchase the Data Bank at GameStop,Amazon, or the Nyko online store today for MSRP $39.99.